Anyone who knows me knows I have a love affair with photography. Unless I’m sitting at home in front of the computer, you will usually find me with a camera in my hands. Photography has been one of my great joys the past several years and I have found that it is something that I am good at (and I don’t say that about very many things). I have a problem though, that as the years go on, has gotten worse. I’ve shared about it on my blog, but wanted to share it here as well since it goes along with my review. I have a condition called Essential Tremor. It is nothing life-threatening… just annoying. Lately it has gotten to be more than annoying, and has become a bit of a handicap. You see, Essential Tremor causes my hands to shake. Not a good thing to be a photographer and have shaky hands, since people tend to like their photos to be sharp (go figure). 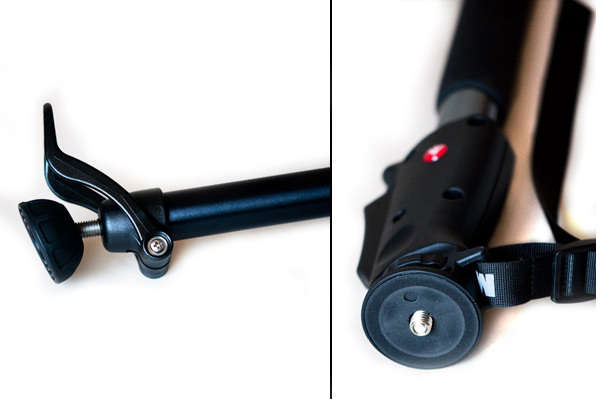 The feature that makes the Manfrotto 685B stand out is the “Neotec” release mechanism. You just pull the leg downwards to open and it automatically locks in any position, with no screws, knobs, or levers to tighten or loosen. I had only ever seen models that use a collar type of system to release at the different sections. That can make it very difficult when you are trying to move around quickly (one of my concerns about getting a monopod in the first place). To extend the 685B, you grab the grip/trigger with one hand and simply pull down on the lower section with the other hand (or use the foot pedal) to adjust it to the height you want. It locks into place wherever you release it. To lower it, you release the safety latch and squeeze the trigger with one hand and push it towards the ground. In practice, I have found it easiest and fastest to lengthen it higher than I actually want and then lower it to the right height when it’s braced against the ground. Never having used a monopod before, the biggest of my concerns was how difficult it would be to get used to. I have used it now everyday for a couple weeks and have not found it difficult at all. The adjustments are quick and intuitive to figure out. My one complaint (and it’s not that big if a deal) is that it does take a little bit longer to get things ready now since I have to attach the camera to the monopod, which means temporarily either disconnecting my Black Rapid R-strap (or attaching it to the lens if I’m using my new Nikon 70-200mm f/2.8G ED VRII). 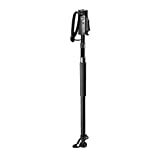 Weighing in at only three pounds, it is very light as well, which means it is easy to carry around; pretty important when you’re already carrying a camera, maybe a couple of lenses, and then flashes. Adding extra weight is definitely something to consider. The other necessary item to buy with a tripod or monopod is a ballhead. I wanted the ballhead to be something that was, again, simple to figure out and extremely easy to use. 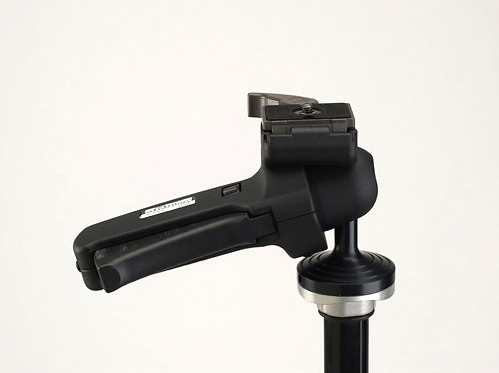 I ended up choosing the Manfrotto 322RC2 Horizontal Grip Action Ballhead. It seemed to go along perfectly with the monopod since it uses a similar trigger/grip style system to adjust the camera with one hand. I put it through its paces with my Nikon 70-200mm f/2.8G ED VRII (another new tool) and it really is a joy to use. You simply squeeze the trigger to move the camera and compose your shot. Once you let go it locks into place. 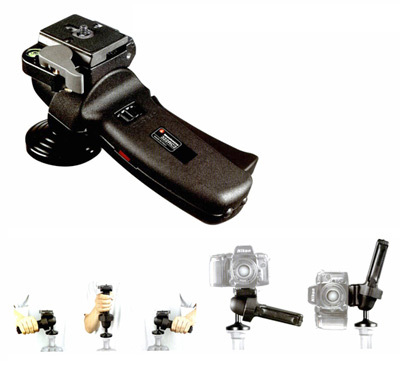 The head features what Manfrotto calls a “friction control wheel” that lets you adjust the strength of the trigger to match the weight of your camera and lens. I had no issue whatsoever with the lens slipping when releasing the trigger. Moving from landscape to portrait was a snap and the camera stayed rock solid every time. This is a really fantastic head. There’s even a built in bubble level to help get the head aligned, though that seems to be less useful on a monopod that it would be on a tripod. I realize we say that gear is not as important as vision, but in my case specific pieces of gear become a priority. You want quality if you want it to work correctly and I need this to work correctly. All the vision in the world was not going to help my hands stop shaking and allow me to focus. However, after using this new gear I have found that my images are sharper and I can use much lower shutter speeds. It has also saved my arm and wrist quite a lot of work since I am no longer raising and lowering a huge camera and lens all day long. 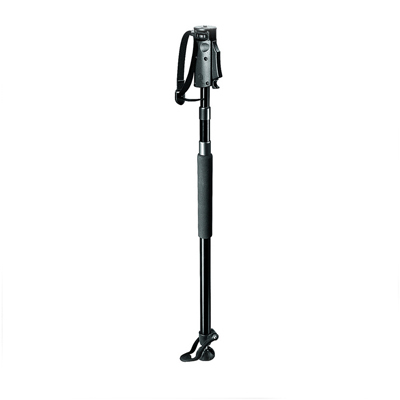 If you are in the market for a monopod or new ballhead to compliment an existing tripod, I would absolutely recommend the Manfrotto 685B and the Manfrotto 322RC2.